First Colombia Gold Corp is in possession of the final purchase agreement to acquire 11 convenience stores in Alabama. On July 28, 2015, First Colombia Gold Corp. announced that it had acquired Enterprise Partners, Inc. and that acquisition included a contract to purchase 11 convenience stores already in operation. These convenience stores, based on initial finances provided by the selling party, are currently producing in excess of $15 Million in combined annual revenue and over one million in annual profits. Additionally, the company unveiled its long term strategy in combining this new acquisition with a previous deal announced earlier in the year. 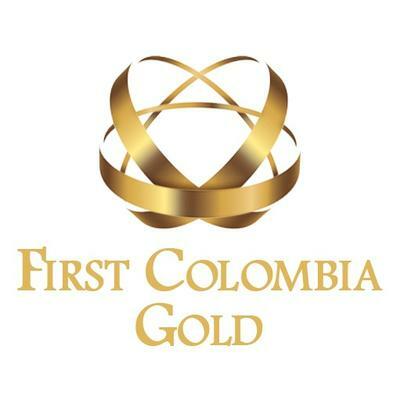 Jason Castenir, CEO of First Colombia Gold Corp. stated, "In April of this year we acquired the Triangle Restaurant Group along with its quick serve restaurant holdings and management. We are currently in the process of working those restaurant concepts into these convenience store operations, and we have identified at least four of these convenience store locations where we plan to open and operate our own quick serve restaurant concept." Mr. Pete Iodice, president of Triangle Restaurant Group, stated, "We are very excited about this acquisition. These convenience stores will allow Triangle Restaurant Group and First Colombia Gold to expand operations. These first four locations are prime targets for the operation of our Maryland Fried Chicken franchises, and with these multiple revenue streams in place, we should be able to expand operations quickly." Since First Colombia Gold Corp. first acquired the Triangle Restaurant Brand, it has been looking for creative ways to work the Quick-Serve Restaurant concept into the larger business model. This is the unveiling of that strategy and one that the company believes will become highly profitable. Our Strategy is to build shareholder leverage to Gold and Silver, acquiring and developing a pipeline of multiple previous metal projects in North and South America. Our Business Plan is to use our expertise and experience in the industry to identify projects in historic mining districts, acquire under favorable terms, and advance through exploration and joint ventures. Our Business Model is based on "Project Generation" to build maximize shareholder value through careful use of capital resources to build a pipeline of projects in various stages of exploration, and focus on advancing projects internally or externally with joint venture partners. Boulder Hill Gold Project – Located in Montana in Historic Gold district; Exploration Plan to identify Stratabound Gold Occurrence. South Idaho Silver – Recently acquired project under lease, with exploration plan targeted towards identifying high-grade silver potential. A resource rich country relatively unexplored due to past political and security concerns, a mining sector in transition with a new mining ministry and regulatory regime to be implemented in 2012, and many mining companies seeking to enter the Colombia market. First Colombia Gold Corp. will evaluate new projects with a particular emphasis on projects offering near to medium term production potential, or grass roots exploration working with owners seeking capital and exploration expertise. We are actively seeking additional projects to build a "pipeline" of projects for current and future exploration and development, to continually add leverage to both exploration success, and rising metal prices. Nashville, TN, April 12, 2017 (GLOBE NEWSWIRE) -- After recording record revenues in the second and third quarters of last year, First Colombia Gold Corp (FCGD) announced today that they are diversifying and expanding their energy operations and actively pursuing acquisition targets within the coal industry. Citing the positive developments within the coal industry and deregulation of certain coal related requirements, First Colombia Gold Corp. stated that they have been presented with numerous opportunities within the coal sector that are proving to be very attractive.